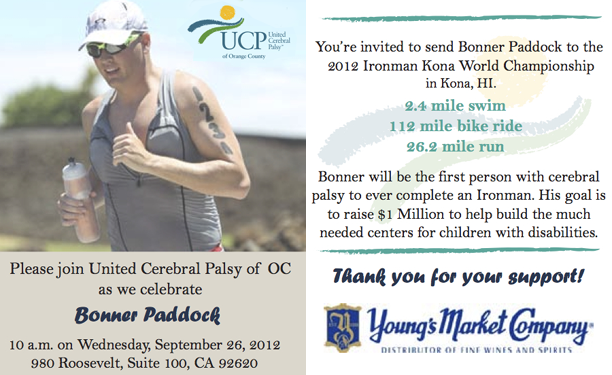 On Wednesday, September 26th, United Cerebral Palsy of Orange County will be hosting an official Ironman Sendoff in Honor of Bonner Paddock. This will be an opportunity to meet Bonner in person and wish him luck as he heads over to Kona to compete in the Ironman World Championship on October 13th. Won’t you please join us for this wonderful event!